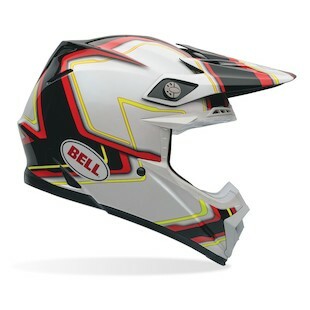 The Bell Moto 9 has long been a staple in the motocross world. On any given weekend you will see many top amateurs and pros trusting their heads inside the Moto 9, and for good reason. This is a tried and true helmet that has withstood the test of time and is back with some fresh new graphics for the fall. The Bell Moto-9 Pace Helmet will be offered along with the Bell Moto-9 Camo helmet for 2016. The Pace graphic fits well with the current loud and wild graphics that grace most motocross gear. It's yellow and red accents will make it look right at home on a Honda or Suzuki. The Yellow Camo is a little more subtle. It has more of a snow camo look with yellow accents. Both graphics work well to complement the clean lines of the Moto 9. 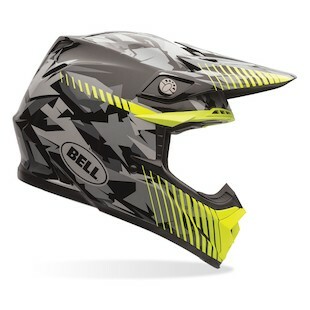 At $399.95 both the Bell Moto-9 Pace helmet and the Moto-9 Yellow Camo Helmet are rock solid options for those riders and racers not looking to step up to the new tech and cost of the big brother Moto 9 Flex. You can expect a solid list of creature comforts like a great ventilation system, removable liner , and quick release cheek pad system. The Moto 9 also meets the current DOT and Snell M2015 standards. It is hard to beat the features and values of the Moto 9 that so many of us have come to love over the years. Keep up the good work Bell.